The only dedicated Classic Vehicle Auctions in Scotland we provide a premium service to both buyers and sellers. Attracting over 200 entries of Classic Vehicles, Motorbikes and Commercial Vehicles. With a diversity of lots there is always something to suit every enthusiast and sellers can rest assured with our national advertising campaigns we have achieved a successful sale rate of over 70% to buyers throughout the UK, Europe and even Australia, providing your Classic with the audience it truly deserves. Our Classic Auctions are growing in reputation for the quality of vehicles and friendly and professional service our customers receive. 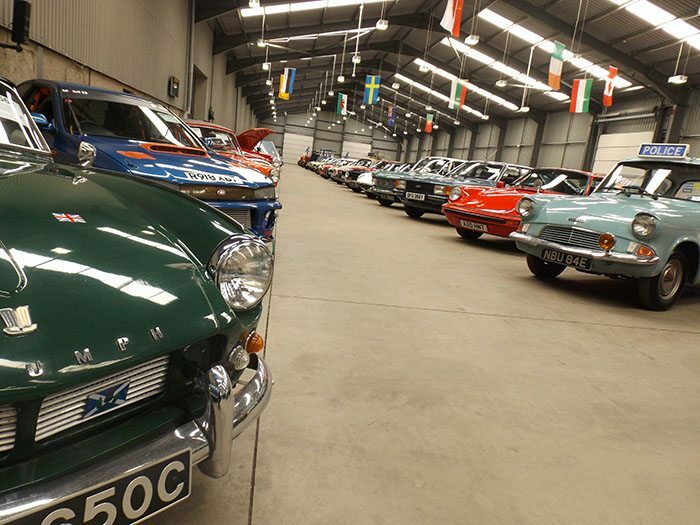 Each of our classic auctions has a fabulous range of cars, trucks and motorbikes on display. Our classic auction team have a talent for unearthing unique and rare vehicles from Rolls Royce’s chauffeuring royalty, to the last car purchased by Winston Churchill, to racing cars, through to barn finds with true historical value. This is why Morris Leslie classic auctions have become highlights within the Scottish (and further afield) classic car calendar. Over 200 expected classic entries including Rolls Royce, Bentley, Mercedes, Porsche, Jaguar & Austin. Register YOUR Classic car today. by calling 01821 642574 or visiting our website Register section. View the catalogue here.